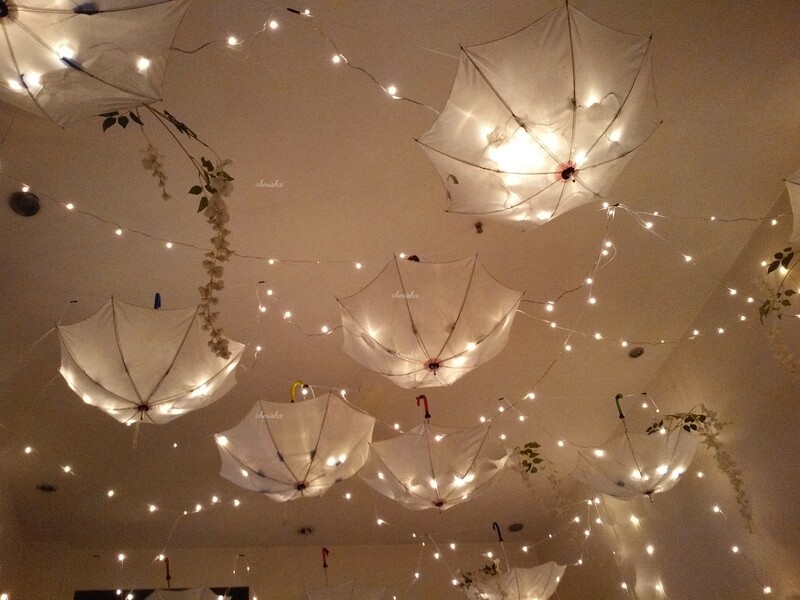 Make your anniversary, proposal, birthday special by decorating your room with this beautiful, unique umbrella and light decoration. 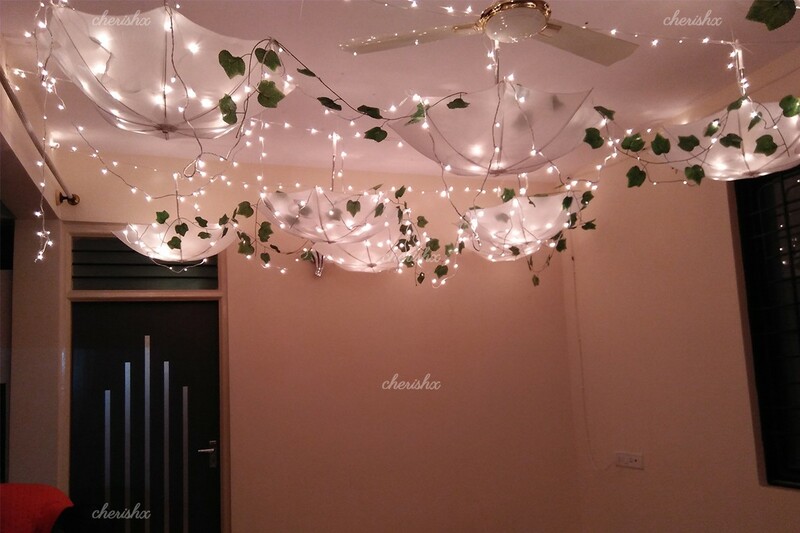 Want to feel like you are under a sky full of shimmering stars while you sit in your room? 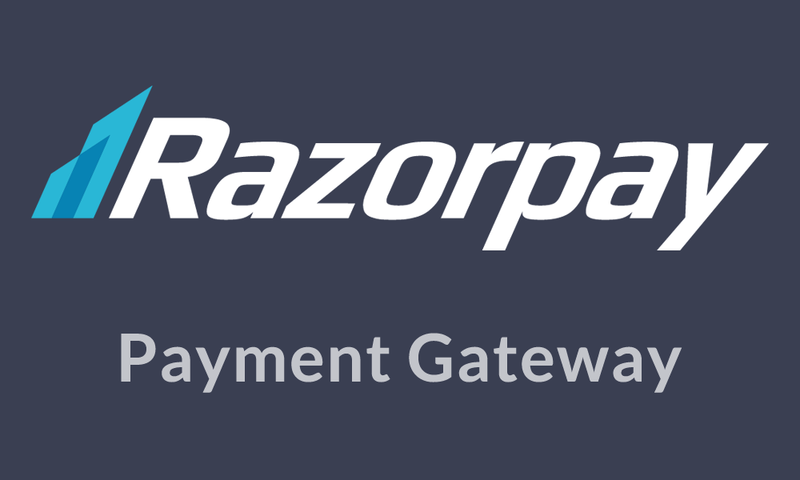 We have the exact deal to make such an experience to happen. 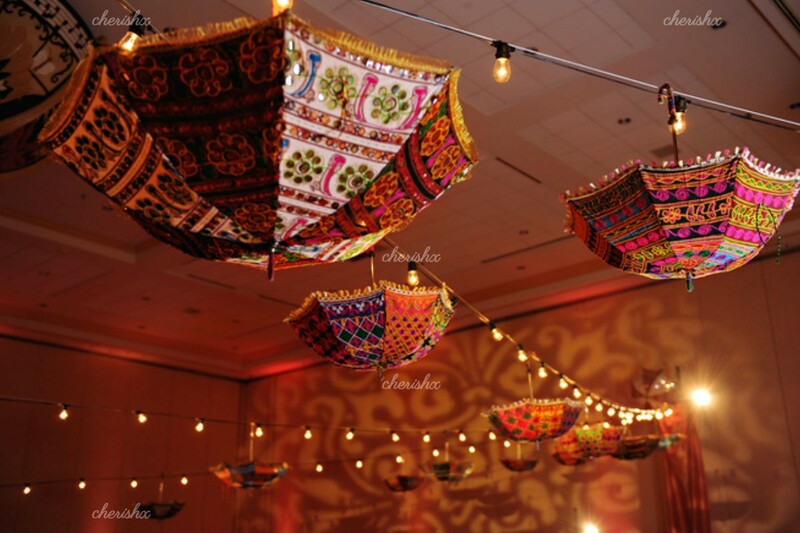 These beautiful umbrellas with LED lights inside them are definitely going to give you starry eyes. 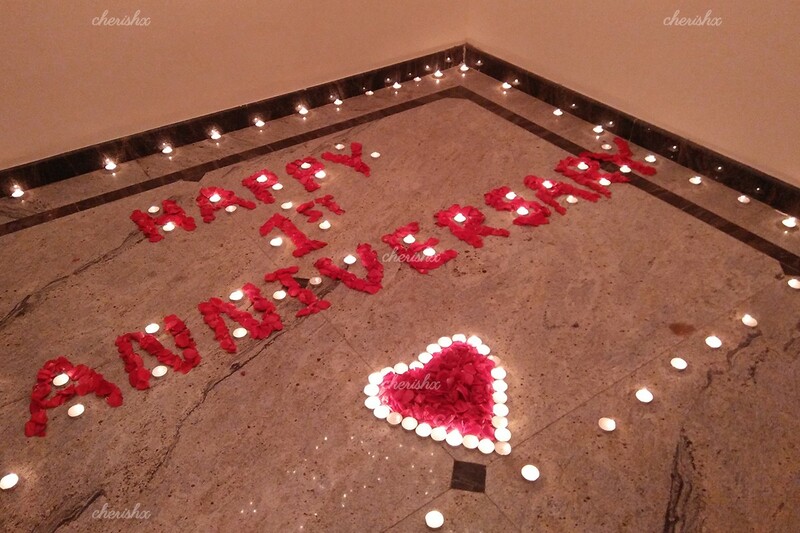 Surprise your partner as they open the door to a room full of fresh-divine smelling rose petals and candles. 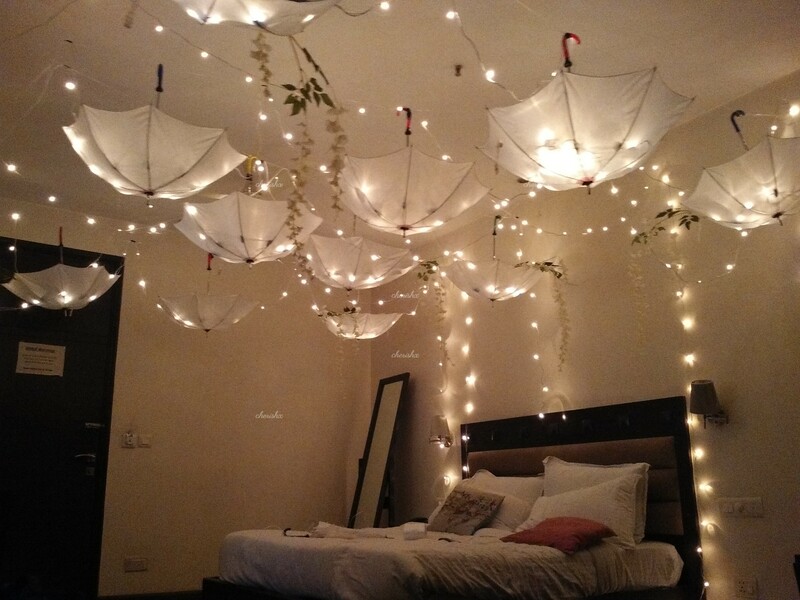 In the middle of your room, live the dream of dining in bed under a canopy of warm fairy lights and beautiful prismatic umbrellas. It has become difficult to make time to go out for a special dinner, considering the fast-paced lives we live. So skip all the hard work to look for a beautiful place, a perfect romantic setup and even the effort of going out. Enjoy the luxury of the perfect amorous and intimate date with breathtaking ambiance while you rest in your bed. 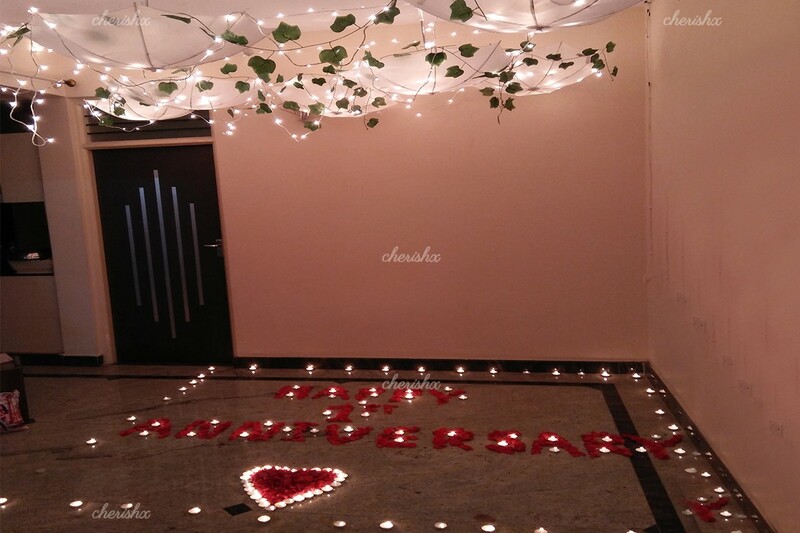 This is amazing for special occasions such as husband’s birthday, your first anniversary, girlfriend’s birthday celebrations or a dinner date with your girlfriend at home. You can schedule a CherishX decorator to visit your house in the chosen (2 hours) slot. We have slots spread from morning to late evening - see what works best for your surprise. “Movie screening”: If you are a movie lover - then you can organize a movie evening on a big screen. We will arrange delivery & pick-up of a projector and a large screen (6ft x 4 ft wide). “Guitarist”: For the music lovers & that extra mushy touch. We will send an artist from a local band to play the favorite songs of your partner. Also works great for parent’s anniversary and your daughter’s birthday. “Photographer”: To convert your special memories into polaroid snaps because after years you would want to cherish this beautiful effort made by someone who loves you to the moon and back. 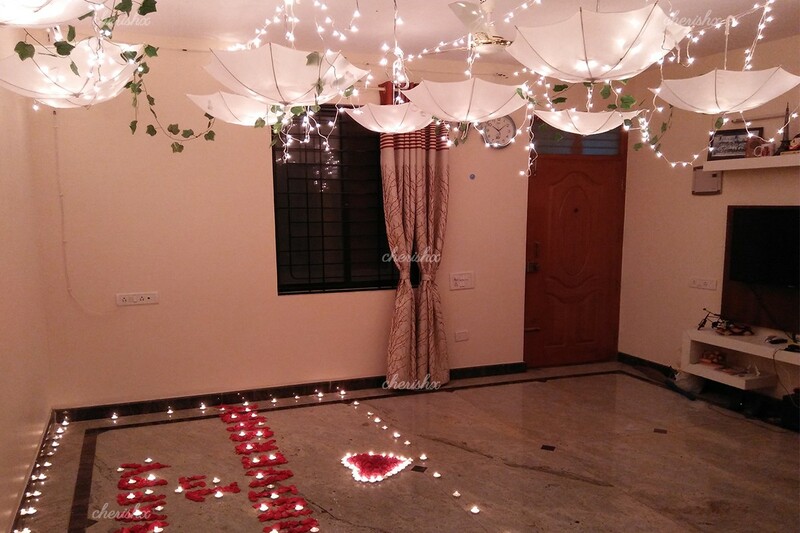 Get a voucher worth ₹800 with the validity of 6 months for returning the decoration set-up . Our team will collect it from your home. Use the foil balloon letters to write or should we say “engrave” the name of your loved one. When & how much surge will be applied?